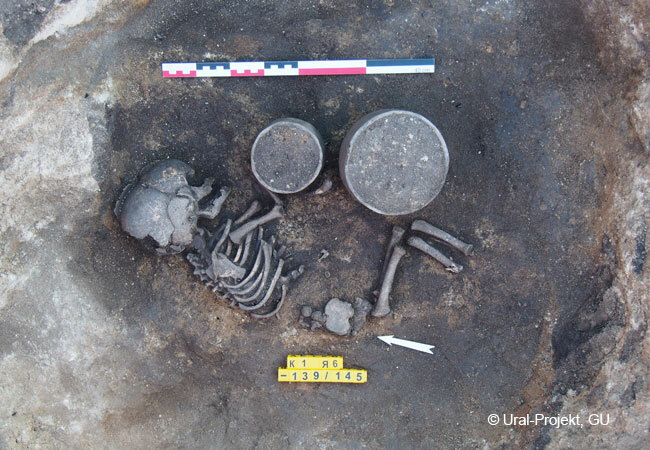 Archaeology / What happened 4,000 years ago in the Urals? Trans-Ural region. Konopljanka-2 Bronze Age terraced house settlement with a filled-in well shaft in the foreground. 2018 excavation. Trans-Ural region, Neplujevka. 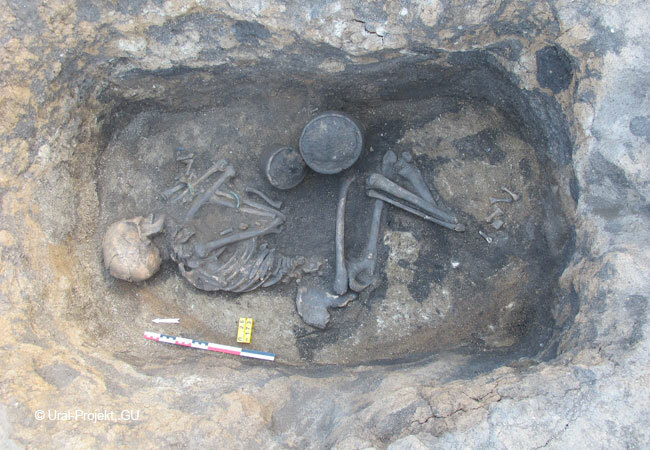 Burial of an adult in a large kurgan. Late Bronze Age, 2017 excavation. Trans-Ural region, Neplujevka. Burial of a young person in a large kurgan. 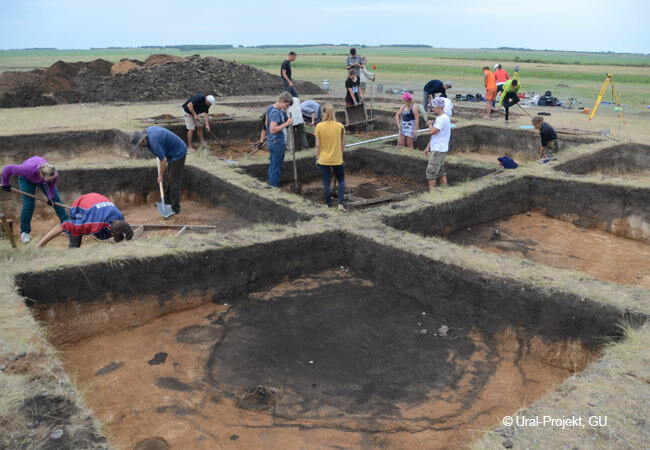 Late Bronze Age, 2016 excavation. 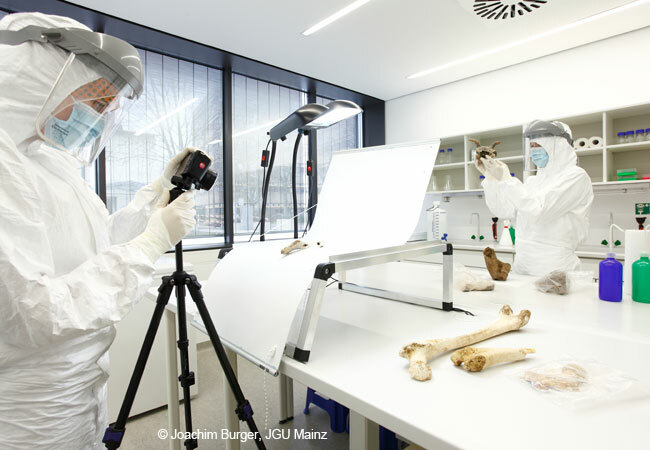 University of Mainz, documentation of bone samples in the cleanroom laboratory in preparation of palaeogenetic tests. 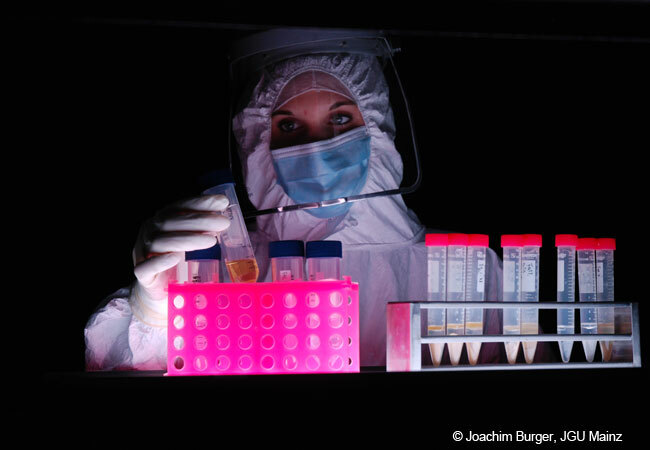 University of Mainz, preparation of bone samples in the cleanroom laboratory for genome analysis. A report on the first phase of the research project can be read (in German) in Forschung Frankfurt, 1.2012, pp. 32-36: “Innovationen vor 4000 Jahren in der Eurasischen Steppe. Streitwagenfahrer und Metallurgen in befestigten Siedlungen“ by R. Krause and J. Fornasier.